Canadian researchers are working with others to develop dough made from pea flour that produces bread that looks and tastes almost like any other loaf, but which also has more protein and less of the carbs and gluten that more consumers are trying to avoid. Vanscoy, Sask., is not typically known for celebrity sightings. Just 462 people make their homes in the village, a jumble of houses off Highway 7 about a half-hour drive from Saskatoon. Most of them are wheat farmers, or work at the nearby potash plants. The village mayor, Robin Odnokon, also runs the local café. So, as the villagers watched the construction over the past two years of a hulking food plant on the southwest side of town – rumoured to be backed by an investor based in Los Angeles – they had little reason to think much about the project. Even as she walked inside the plant for its official launch a few months ago, Ms. Odnokon was mostly just impressed that Saskatchewan Premier Brad Wall had come for the event. That's when James Cameron walked in. Clad in a dark blazer and jeans, the Oscar-winning director and environmental advocate announced that he was the L.A.-based investor behind the massive organic-pea-processing plant. "This will be a legacy for us," he said in video of the event – referring to the investment by him and his wife, Suzy Amis Cameron. "We see it as the start of a bigger vision for the development of food products." James Cameron is the L.A.-based investor behind the massive organic-pea-processing plant in Vanscoy, Sask. Driving their investment is the rapid rise in popularity of plant-based protein. As increasing numbers of traditional meat-eaters look to reduce animal products in their diets or eliminate them entirely, food companies have rushed to enter this market. Globally, the plant-based protein market is expected to reach $5-billion by 2020 (and $19.5-billion for the plant-based milk market). Ms. Odnokon was awestruck – both at the presence of the Hollywood director and also the scale of the operation in Vanscoy. "We're a small little town in the middle of Saskatchewan," she recalled thinking. "I was blown away." She should not have been. In their rush to create new plant-based products, food companies have become increasingly focused on peas. Mr. Cameron's stake in Vanscoy's Verdient Foods is not the only flashy pea-protein news in the Prairies. In late September, the French food giant Roquette announced it would spend $400-million to build the world's largest pea-processing plant in Portage la Prairie, Man. Silicon Valley investors and global food giants alike are now looking at the humble pea as "the future of food." Peas – long considered a pantry staple and filler ingredient for soups and stews – are suddenly the focus of tens of millions of dollars in research and development, and are being transformed into trendy new pea-based products. According to Agriculture and Agri-Food Canada, 170 new food products containing pea protein were launched in 2015 alone – 32 of them in Canada. Yellow peas in particular have emerged as the favourite, given their relatively neutral colour and flavour. And, as the world's largest producer of yellow peas, the Prairies suddenly finds themselves at the leading edge of the "future of protein" movement. Yellow peas are the preferred choice for new foods because of their neutral colour and taste. Lee Moats is the third generation in his family to farm in Saskatchewan. As with most of their neighbours, his father and grandfather grew grains and wheat. Those who did not raised cattle. It was one of two allegiances: "wheat country" or "cattle country." "Now," Mr. Moats said, "we're at this whole other place." He has witnessed on his own farm how tastes have redrawn the landscape. These days, in addition to wheat and canola, he grows lentils. Many of his neighbours grow chickpeas and peas. 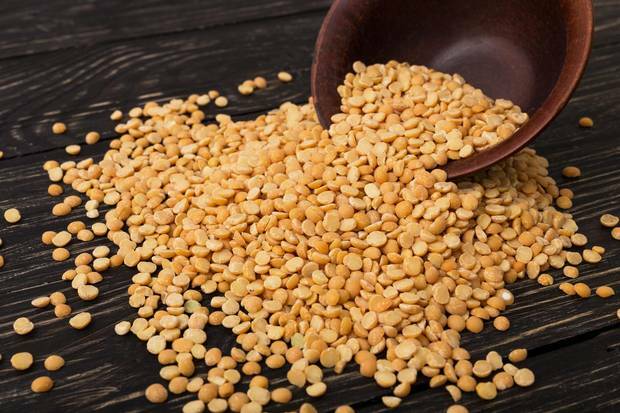 In total, Canada produces about one-third of the world's pulses (peas, lentils, beans and chickpeas) – about 5.9 million tonnes in 2015. In the past, the vast majority was sold to India and the Middle East. But these days, other countries including Canada and the United States are showing increased interest. "In the last five and 10 years, you've got a very, very different consumer," said Paul Uys, the former head of product development at Loblaw Cos. Ltd., and now director, external at the Arrell Food Institute at the University of Guelph. "Twenty years ago, a 'foodie' tended to be interested in the latest trends in terms of the latest fashion of food, or the latest hors d'oeuvre," Mr. Uys said. Today, "the foodie is passionate to know increasingly where their food comes from and how they can trust their food source." A big part of the equation is demographics. By far, the two largest consumer groups are baby boomers and millennials. And studies have shown these groups are increasingly concerned with health (especially boomers) and the environment. Many health organizations (including Health Canada, whose upcoming Canada's Food Guide will de-emphasize the importance of animal protein) are encouraging plant-based protein instead. Meanwhile, environmental groups have long warned about the impact of meat production – the land, energy and water required for livestock production, and the connection to climate change. As a result, food companies are investing more resources in creating better-tasting meat alternatives – meatless burgers that "bleed" beet juice and dairy-free cheese that melts and stretches. Peas in particular are the new favourite ingredient for these companies. Peas don't have the same baggage as some other plant-based protein sources. Pea protein is not an allergen, such as soy, and more sustainable than nuts (which require more water to produce). And they're also high in iron and zinc – particularly important for vegetarian and vegan diets. Companies such as Roquette grind the peas into a flour-like consistency. From there, they separate the product into three main ingredients: starch, fibre and protein. In addition to being a meat alternative, pea protein is also used in energy bars and nutritional supplement drinks, such as Enrich. 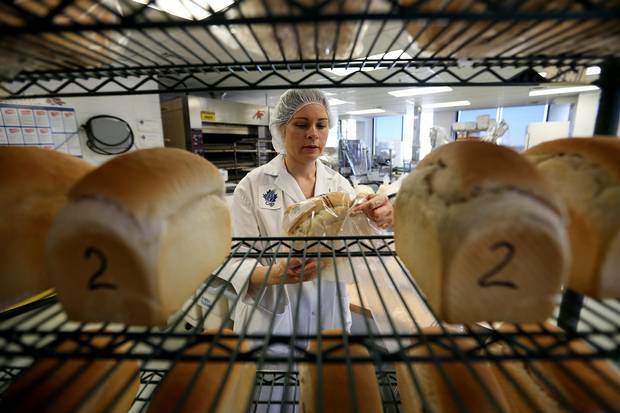 Yulia Borsuk, a technical specialist in baking technology at the Canadian International Grains Institute lab, packages bread made from pulse flour at the company’s research lab in Winnipeg. Mr. Moats, who has friends and neighbours who raise cattle, is careful to say he sees peas and pulses as a "complement" – not an alternative – to meat. "We are not lining up against beef production. The question at the very highest level is: How do we feed the billions of people on Earth in a healthy way, without exhausting all of the Earth's capacity to produce?" he said. "We'll need all of the food we can produce – regardless of whether it's animals or plants." For most food companies investing in pea protein, the aim is not to convert carnivores into vegans. Rather, the goal is in mainstreaming meat-free products. Increasingly, Mr. Uys said, consumers are taking part in "meatless Mondays" or identifying as "flexitarians" – following mainly vegetarian diets, but allowing the occasional steak or burgers. Others follow the "VB6" (vegan before 6 p.m.) diet, as popularized by the writer Mark Bittman. But for some brands, transitioning from a traditionally vegan consumer base to a broader one has been awkward. In the past, consumers moved to plant-based foods for a variety of reasons – health, the environment or animal welfare. And, in mainstreaming their products, some companies have run up against a number of these old values. Beyond Meat, which makes burgers out of pea protein and counts among its investors the likes of Leonardo DiCaprio and Bill Gates, encountered this in October of last year, when the company announced it was welcoming as an investor Tyson Foods Inc. – best known for supplying meat to McDonald's and KFC. The backlash was immediate. "By allowing a company like Tyson in, Beyond now has some of that blood on its hands," one critic wrote on the company's Facebook page. In Canada, the Vancouver-based Daiya Foods Inc. – which produces "cheese" from pea protein and tapioca flour – has also faced similar criticism. After the company announced in July it had been acquired by the Japanese pharmaceutical firm Otsuka Holdings Co. Ltd., vegan groups circulated an online petition demanding Daiya not "betray" traditional customers by working with a company that performs animal testing of medical products. "What Daiya has now shown us is that anyone can be bought," the petition read. "They too had a price point where the torture and suffering of animals is acceptable, so long as they stand to make much more money for themselves." But those "very vocal" customers make up only a very small portion of Daiya's consumers, said the company's vice-president of marketing, Michael Lynch. Most of its customers, he said, "recognized it's a good thing, because it's providing more plant-based products around the world." Increasingly, he said, the company is avoiding the term "vegan" in its marketing, preferring instead to call its products "plant-based" for a broader appeal. Unlike "vegan," he said, "plant-based – when you talk to consumers – there's no baggage with it." For better or worse, he said, the word " 'vegan' sometimes has a negative connotation to it" – seen by outsiders as "extreme" or an "all-or-nothing mentality." At Daiya, he said, "we're not trying to convert anybody to be a vegan. We just think plant-based is a good thing." In the five years he has been with Daiya, Mr. Lynch has seen the company's products go from being carried in 10,000 stores to more than 25,000. With pea protein products alone, Mr. Lynch said, the company expects to see growth of about 13 per cent annually in the coming years. "We're in the process of significantly expanding our production," he said. "Quite frankly, we can't make enough product to satisfy demand."